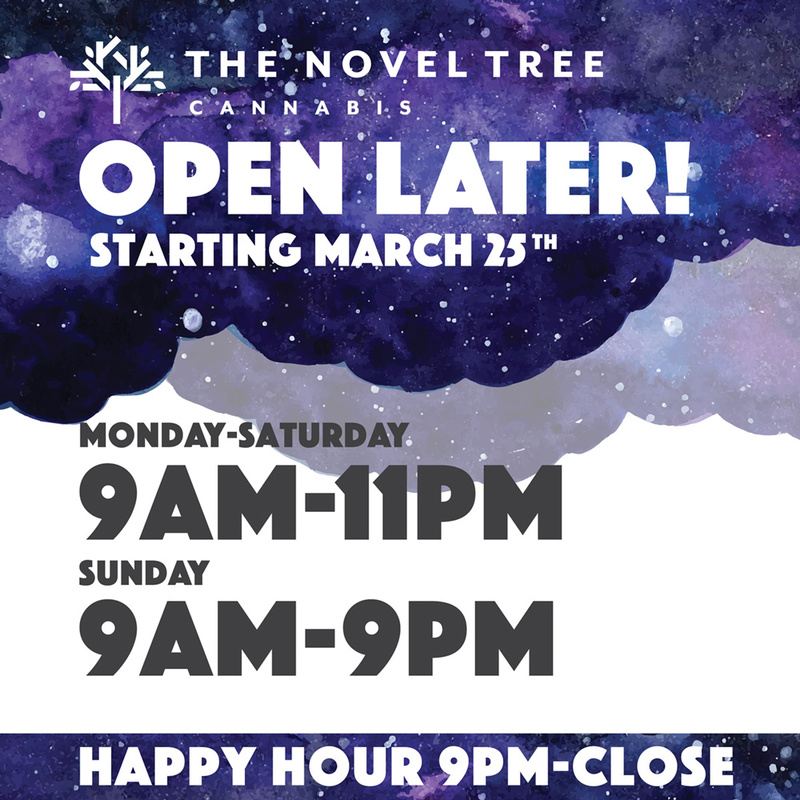 We’re pleased to announce The Novel Tree will be open later beginning Monday, March 25th. With everyone’s schedules varying so much, why not make it easier to get the best cannabis in Bellevue? Why not throw in a nightly happy hour too? Monday through Saturday from 9pm-11pm, we’ll be offering a different discounted item or items from your favorite brands. We’ll announce the week’s Happy Hours every Monday, then daily throughout the week! Older PostNew Strains from Secret Gardens of Washington!